Need a TV with a built-in PVR? Don't want to pay for a Sky+ box? 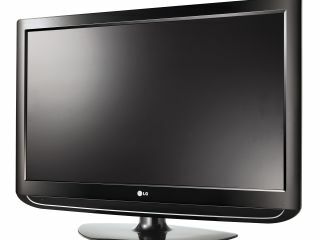 LG announced today that it's adding Freeview Playback functionality to its upcoming Time Machine LCD and plasma TV ranges. LG's HD-Ready LT75 LCD series (available with 32-, 37- and 42-inch screens) will feature the system in October. As will the company's new PT85 plasma models (available in 42- and 50-inch sizes). Freeview Playback brings standardised 'time shifting' to the digital terrestrial platform. Like Sky+ and TiVo before it, Freeview Playback technology relies on an integrated hard disk drive to constantly record the TV channel you're watching. Thanks to this constant recording, Freeview Playback gives you the ability to pause live TV and rewind it. The talents of Freeview Playback don't end there. Intelligent features supported under the Group 2 certification include 'schedule tracking' and 'auto-buffering'. These ensure that any changes in the TV schedule caused by breaking news or overrunning programmes do not cause recordings to be missed. By the October launch, the Freeview Playback specification should also offer a comprehensive Series LInk or Season Pass option - this will enable you to auto-record every episode in a series. A TiVo-style programme recommendation feature is also promised. The LT75 LCDs and PT85 plasmas will feature twin Freeview tuners, so one channel can be recorded whilst watching another. Each TV will incorporate a 160 GB hard drive that can hold up to 80 hours of programmes. "As consumer lifestyle becomes more and more hectic, our new range of Freeview Playback certified Time Machine TVs ensures that favourite programmes will never be missed," said James Atkins, marketing manager for LG brown goods. "[Freeview Playback] allows you to fit TV around your life, whether you press record when you go out on the town, or pause a live game whilst getting a beer, you'll never have to miss a thing."